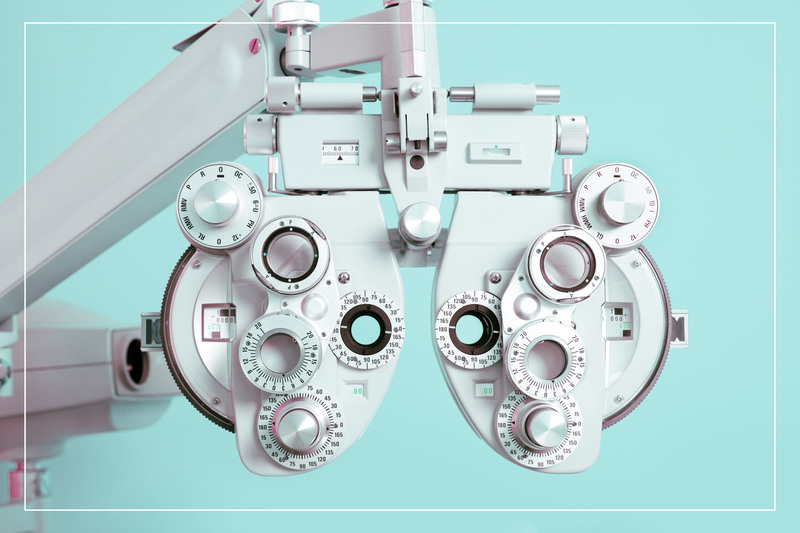 At all four of our Northern Virginia eye clinics, Eye & Vision Care offers a comprehensive range of optical solutions and vision correction treatments. Our optometrists also specialize in the treatment of various eye diseases and conditions. To learn more about what we offer and the conditions we treat, please select from one of the subcategories below. Contact us today to speak to a member of our team about your eye care needs. Lenses and Frames – We boast an enormous selection of frames for adults and children. 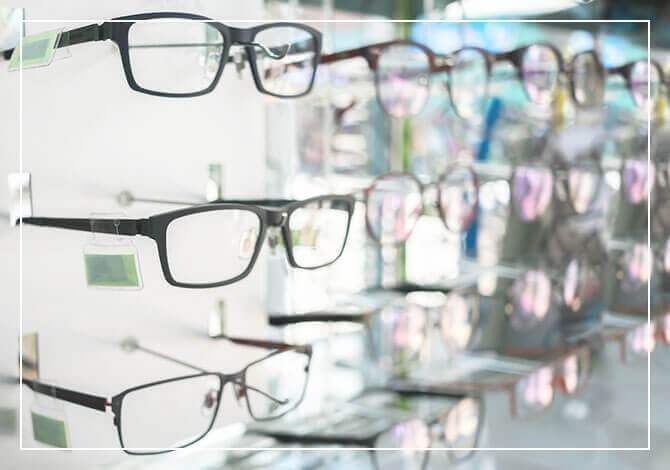 Whether you’re shopping for your first pair or looking to try something new, our team can help you find the glasses that are right for your look and lifestyle. 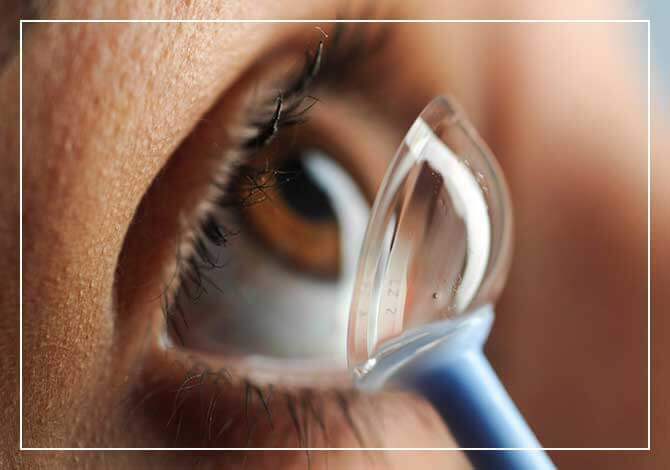 Contact Lenses – Eye & Vision Care specializes in hard-to-fit contact lenses. 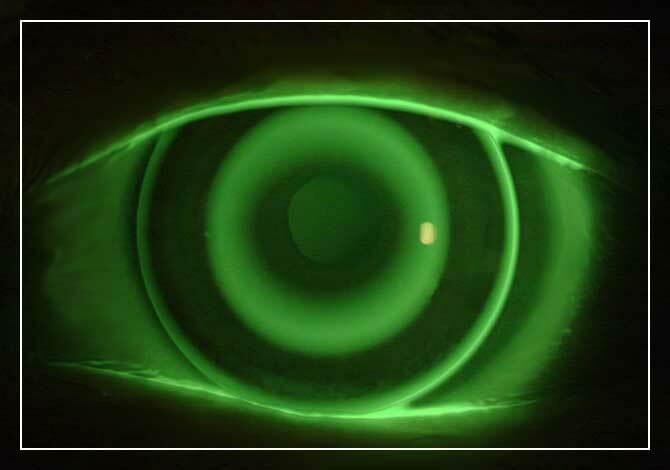 If you’ve been told contact lenses aren’t for you, make an appointment to speak with one of our optometrists today. 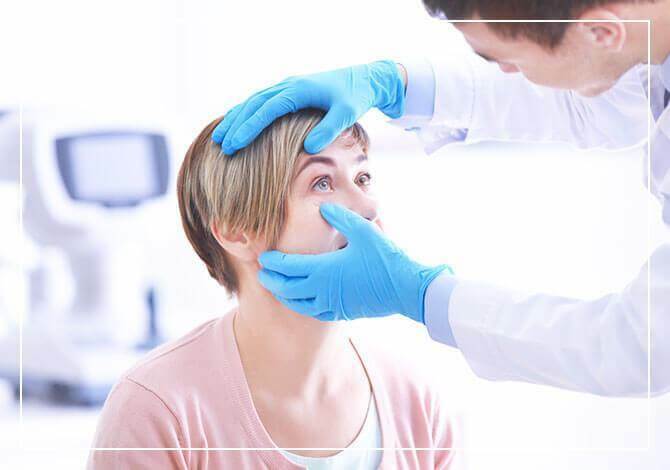 Vision Correction – If you’re looking for a more permanent solution to your vision problems, we can help you explore options like LASIK or Orthokeratology. Eye Conditions – If you or a family member is suffering from the effects of any number of eye conditions, including lazy eye or cataracts, we can help. Eye Diseases – When you’re dealing with an eye disease like pink eye, glaucoma or macular degeneration, we can help. Vision Problems – We provide solutions for myopia, hyperopia, amblyopia and astigmatism in adults and children. Don’t let vision problems affect your quality of life. 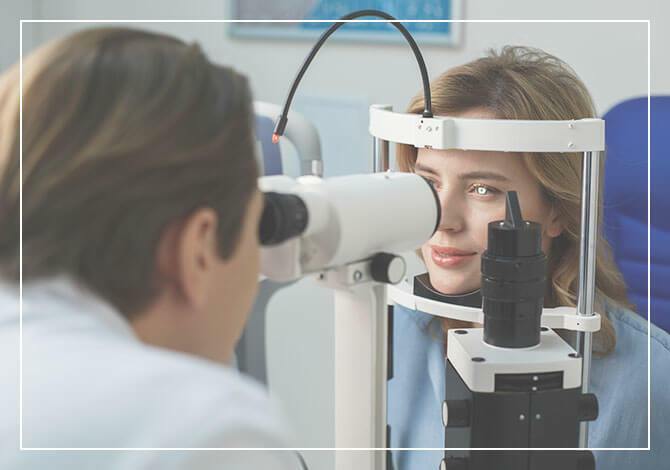 There are many kinds of eye conditions and vision impairments, and the eye doctors at Eye & Vision Care can treat virtually all of them. Eye diseases can be debilitating and painful, affecting your quality of life down to the smallest task. At Eye & Vision Care, we take pride in being able to treat every patient that walks through our door. The team here at Eye & Vision Care understands that selecting your eyeglass frames and lenses is a big decision. Orthokeratology (also called Ortho-k) is a revolutionary, non-surgical procedure that eliminates the need for daytime contacts or glasses. At Eye & Vision Care, many of the patients we see prefer contacts for their vision correction needs. The optometrists at Eye & Vision Care understand that your eyes are as unique as you are. Eye & Vision Care offers comprehensive optometric services at our four Northern Virginia eye clinics. For everything from eye exams to eye disease treatment, you can trust our team for prompt, professional service. Call us today in Fairfax at (703) 961-9119 , in Ashburn at (703) 722-8688 , in Haymarket at (703) 659-4430 or in Chantilly at (703) 957-3384 . You can also schedule an appointment online. We look forward to serving you!